Spanish street artist SpY from Madrid creates interventions with a humorous surprise twist many of which include a cutting social and/or political edge. 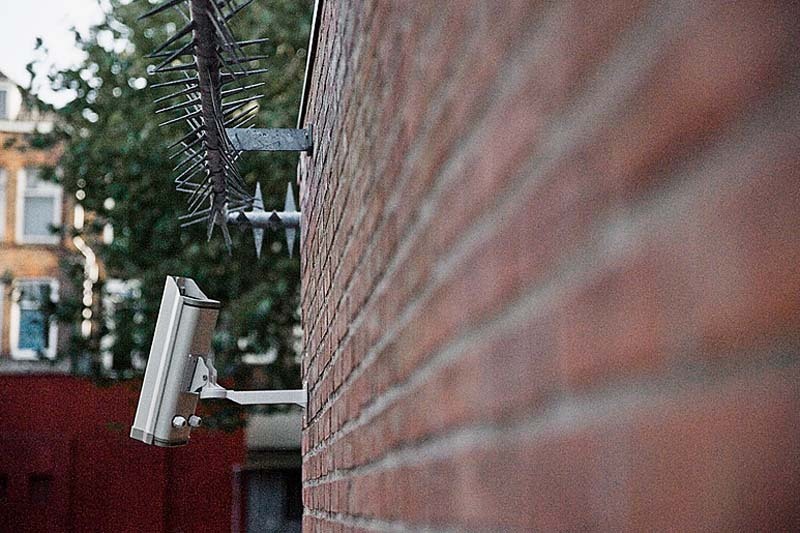 In his series For Security Reasons, SpY installed security cameras in the most unlikely places: pointing at a pile of bricks or garbage or even straight up at the sky. 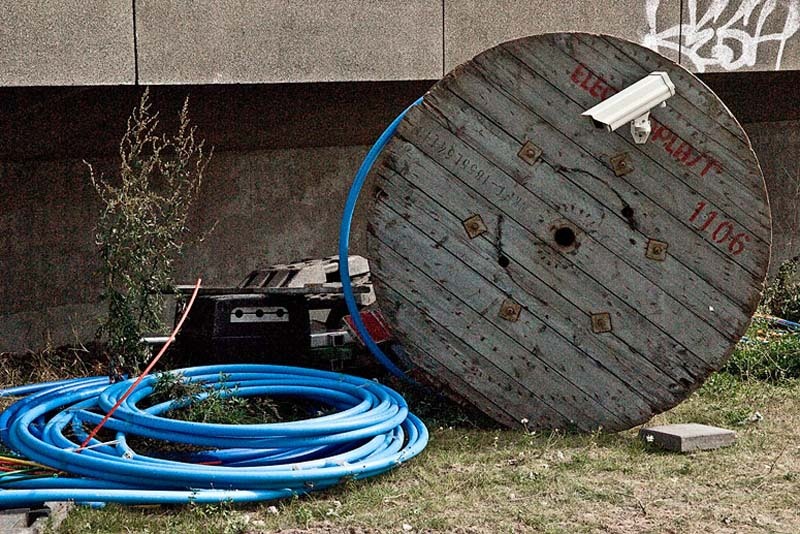 Other, less subversive, interventions include replacing the handset on a payphone with a banana, adding a multitude of diagonal lines to a tennis court, and painting a skate ramp to look like a soccer field. I would imagine he enjoys himself as much as anyone that comes across his work.